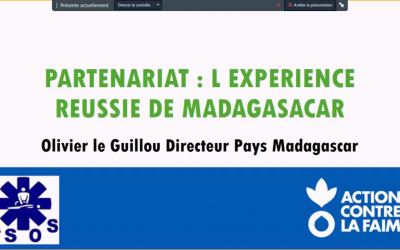 Olivier Le Guillou, country director in Madagascar, tells us how Madagascar managed to build a strong, close and stable partnership with a local association: ASOS. Both partners work jointly, and learn from each other, stepping away from the subcontracting model often used. Olivier also explains how they manage challenges and tells us all about the pitfalls to avoid.